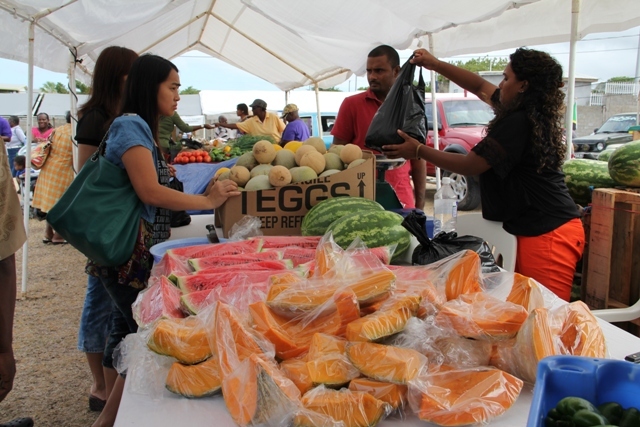 NIA CHARLESTOWN NEVIS (October 16, 2014) –The Department of Agriculture on Nevis continues to make commendable strides in the island’s food security drive. That disclosure came from Permanent Secretary in the Ministry of Agriculture Eric Evelyn in an invited comment from the Department of Information on October 15, 2014. “The Department of Agriculture has been making some very serious and commendable strides where food security is concerned. 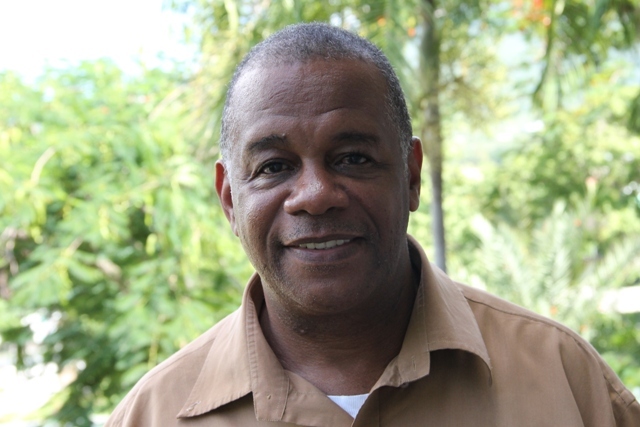 “Of course every year we continue to push for the expansion of vegetable and food production and over the years, we have seen increases in several of the crops here on the island in particular tomatoes, sweet pepper, watermelon, pumpkin and of course there is the push once again for more onion production and so every year we see incremental increases in crop production,” he said. Evelyn stated that Nevis did not have to import certain crops many times throughout the year. “There are several months of the year where we are self-sufficient in several crops. We have also seen a push for more livestock production. We have seen a revival in the interest of pork as well as poultry production and of course as well in small and large ruminants,” he said. The Permanent Secretary also praised the government-owned Abattoir for its sustained success. “We have done some excellent work at the Abattoir, where every year we see new products come on stream. We are linking with the tourism sector where a lot of our hotels and restaurants are actually getting the products from the Abattoir and are actually saying how well the products are,” he said. Evelyn noted that the Department was trying to increase its orchard in its thrust for food production. “We are trying our utmost to increase our orchard at the Department of Agriculture and so we are pushing food production as well. So, all in all, I would think that we are well on our way in terms of the strides that we are making in food security. There is still a lot more that can be done but strides are being made,” he said. Meantime, the Agriculture Official stated that there had been a marked increase in the interest for fruit trees. “We have seen this year, for the first time and of course at our Agriculture Open Day, the fruit trees that we had on sale was the largest number in the history of the Open Day and so what we are trying to do, is push food production at the household level as well as a Department level,” he said.